2 New Patterns Over At Knitty…. Brunella is a short sleeved, lace edged cardigan. 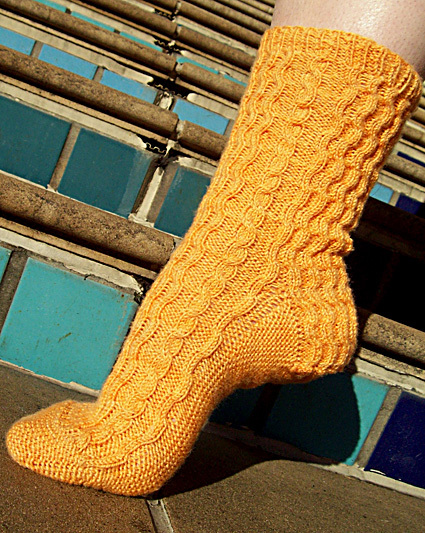 And, Crosswaves is a fun sock pattern, would be awesome with hand dyed yarns! Click here to go over to Knitty’s site for these and lots more free patterns!